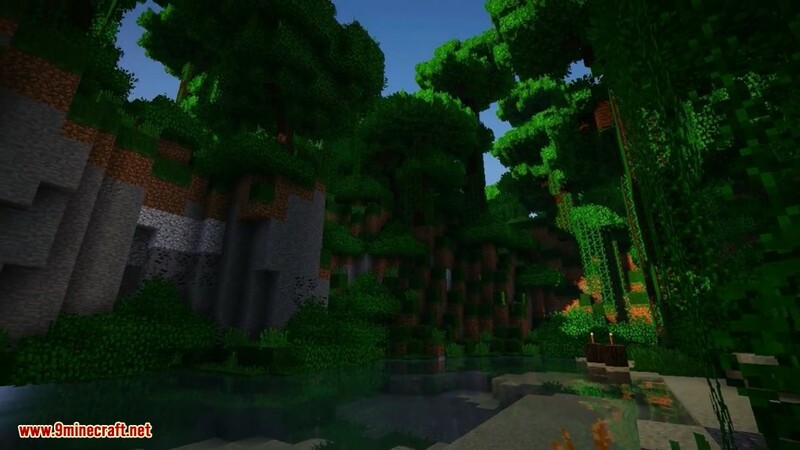 Better Foliage Mod 1.12.2/1.11.2 is re-implementation of some features of Better Grass and Leaves Mod. It makes your plant life a bit more verdant and fluffy by drawing some extra leaves on trees, and short grass on grass blocks. 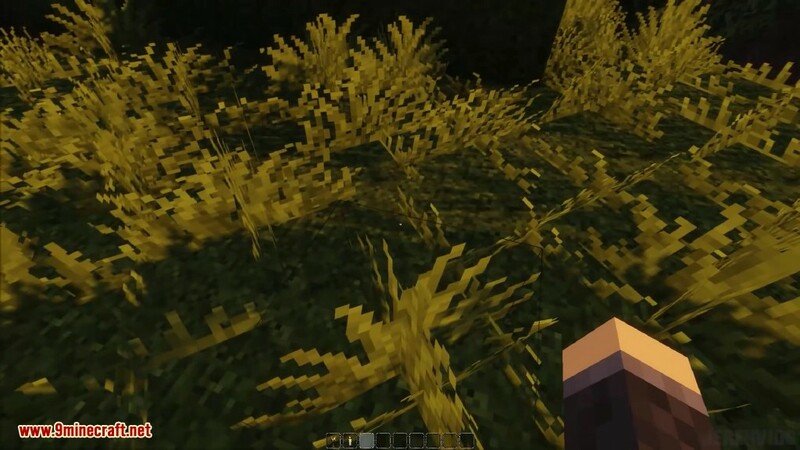 This mod alters the appearance of leaves & grass. 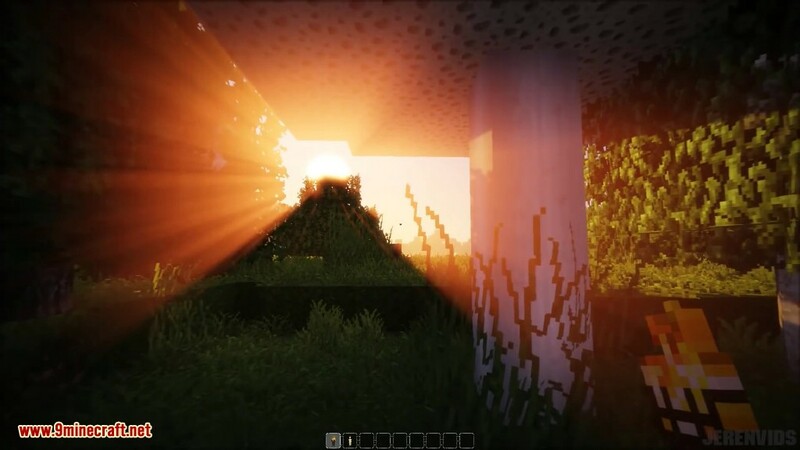 Better Foliage brings an important change to users of Shaders Mod. Wind effects that are commonly seen in shaders (for leaves, grass, wheat, etc.) will be applied to ALL blocks of a similar type. That means wind will “just work” for modded blocks, without having to edit your shader program. By default, this also applies to double-height plants. If the disconnection between the top and bottom parts annoys you, you can turn it off. Adds extra bits of leaves to leaf blocks at 45° angles. This will break up the rectangular outline, and make leaves look more dense and fluffy. The list of blocks that are considered to be leaves is configurable. The textures used by the round bits are generated by Better Foliage. That means all resource packs are supported automatically. Adds grass bits on top of grass blocks similar to Long Grass (the block). Makes meadows and forest floors look much more alive. The list of blocks that are considered to be grass is configurable. 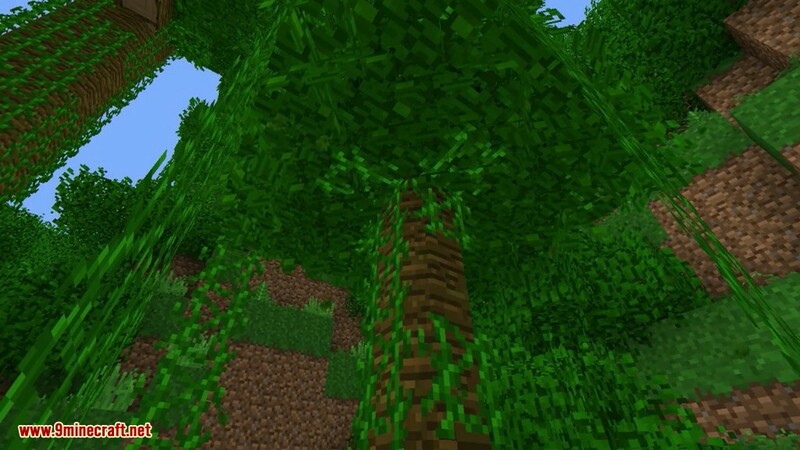 The textures used can also be generated by Better Foliage. This will help you achieve a consistent look even when using resource packs without Better Foliage support. Works the same way with Mycelium blocks, but with a different texture. 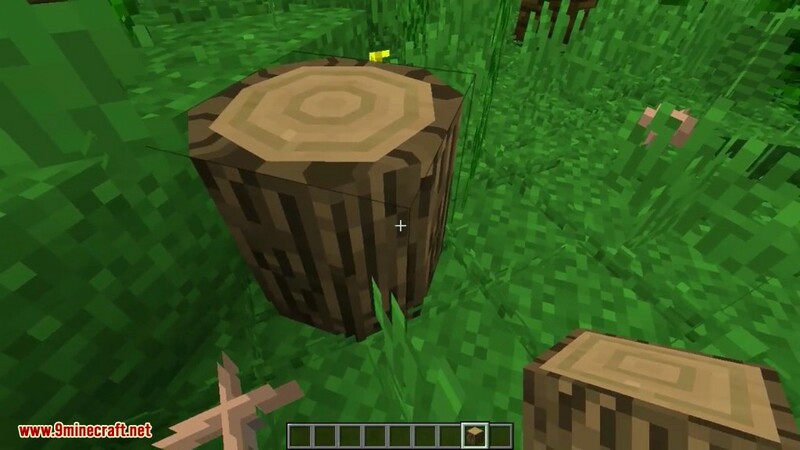 Makes wooden logs rounder (into octagons) by chamfering off the corners. This feature is highly experimental at the moment, and graphical glitches can occur. Parallel logs in a 2×2 configuration will connect together, and the chamfer radius will be different. This can be turned off in the config. Adds a central rounded core to cactus blocks, plus smaller cactus arms sticking out the sides. Adds roots sticking into the water for lilypads, plus the occasional flower on top. 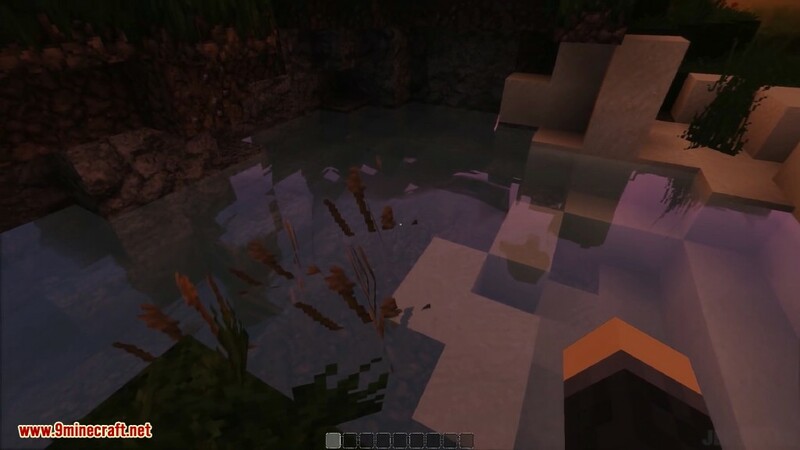 Adds reeds on top of dirt blocks in shallow water. Makes rivers, lakes and coastlines look more interesting. The list of blocks that are considered to be dirt is configurable. 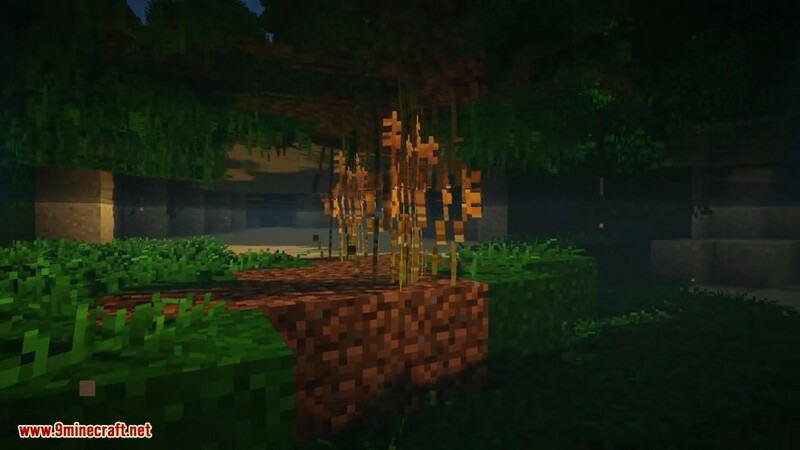 The list of biomes reeds are allowed to appear in is also configurable. 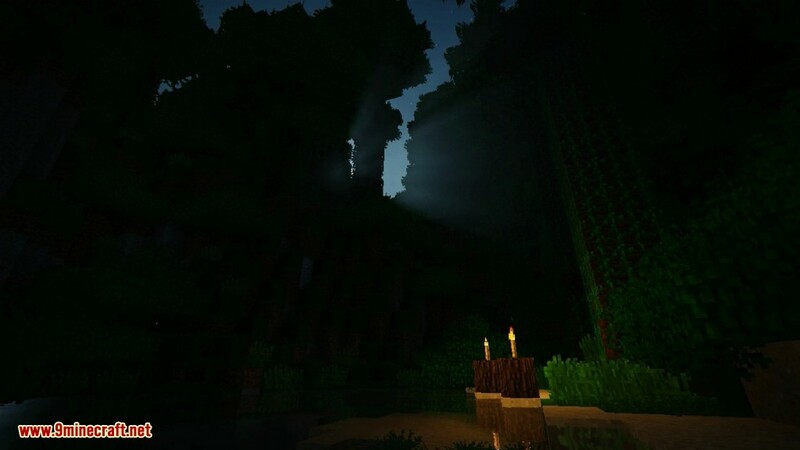 By default, it will appear everywhere except cold or arid biomes. 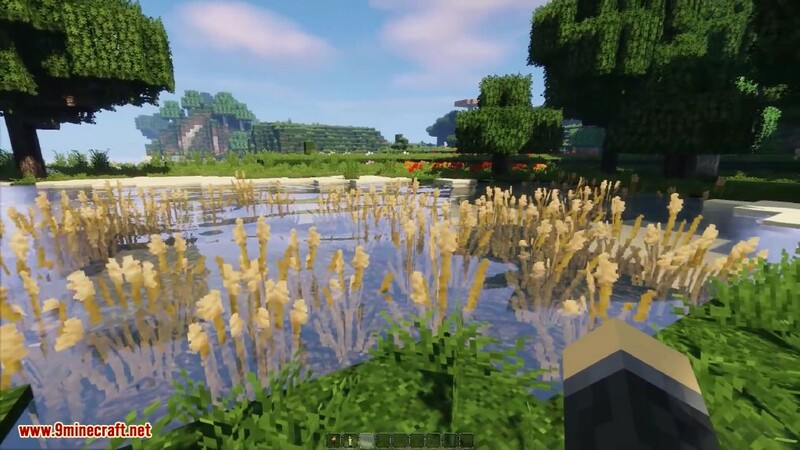 If you have Shaders Mod, reeds can also be set to wave in the wind. Adds algae on top of dirt blocks in deep water. Makes underwater scenery look more interesting. The list of biomes algae is allowed to appear in is also configurable. By default, it will appear in river- and ocean-type biomes. Adds coral on sand blocks in deep water. Makes underwater scenery look more interesting. The list of biomes coral is allowed to appear in is also configurable. By default, it will appear in river-, beach- and ocean-type biomes. Adds hanging vines to the bottom of netherrack. Gives the Nether a more dungeon-y feel. 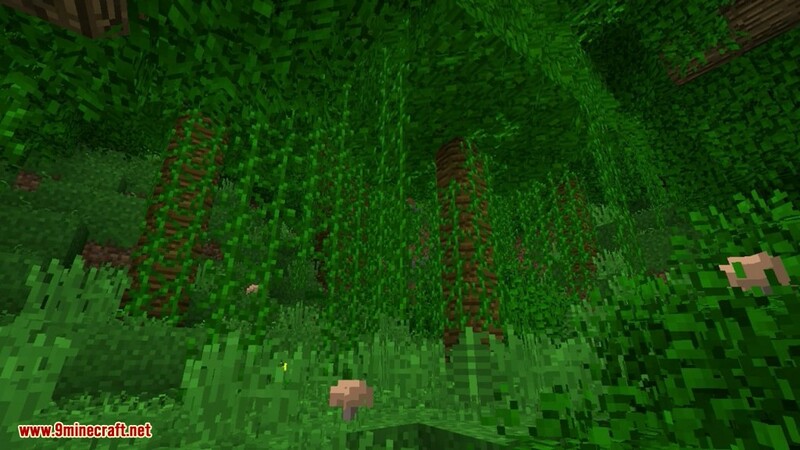 Adds leaf particles that fall from the bottom of leaf blocks. Falling leaves will tumble slowly down, and react to the wind. The wind will occasionally change direction, and blow faster during storms. The amount of particles is configurable (the amount in the screenshot is exaggerated). Adds soul particles spawning from Soul Sand, rising upwards in a corkscrew motion. The amount of particles is configurable. Draws the sides of grass blocks with the top texture under certain conditions. Not available in 1.8 yet. 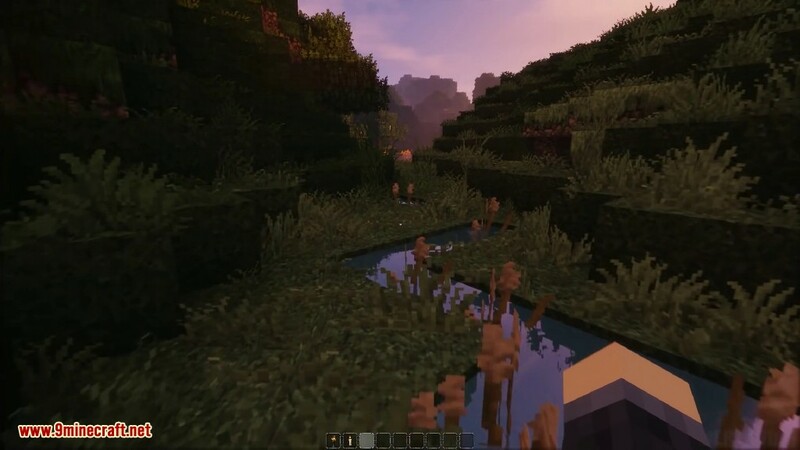 Classic mode works similarly as the connected grass feature in Optifine. Aggressive mode will draw the whole block with the top texture, and draw the dirt block underneath as grass. Better Foliage has a configurable way to identify interesting blocks (grass, leaves, etc.) you can find in the configuration GUI. It works by matching the Java class name of the block againt a blacklist/whitelist pair. This is how support for modded blocks is added. The mod is client only, although it will not crash your server if you add it accidentally. Extra leaves will be rendered for each leaf block that has at least one side touching an air block. 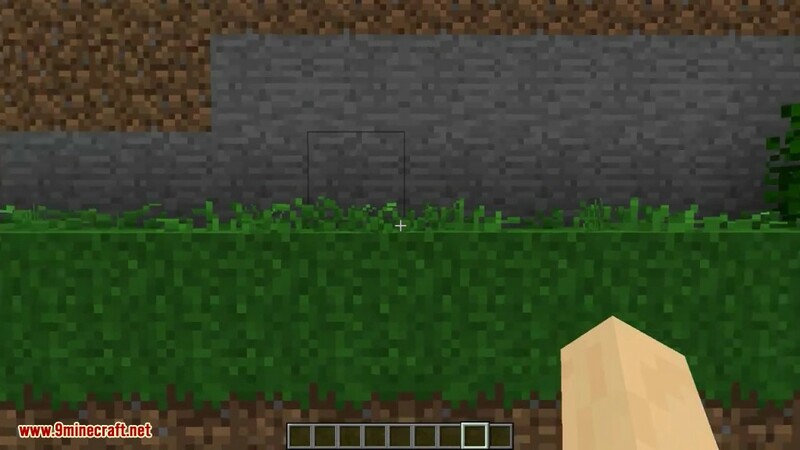 Grass will be rendered for grass blocks with an air block above them. There is a config GUI, opened by pressing F8 (configurable), or using the config button after selecting it in your mod list. Here you can set rendering options for grass and leaves. Offset mode: leaves only. In Translate mode, round leaves will be moved off-center, but have a perfect 45° angle. In Skew mode, leaves will stay centered, but the corners will be dragged around. There’s some minor inconvenience with short grass: because mipmaps and transparency are not good friends, the grass looks darker than it should at a distance, and large flat patches of grass look a bit weird. If you have the horsepower for it, turn off mipmaps and crank up anisotropic filtering in the video settings. Works fine with the GLSL Shader Mod. 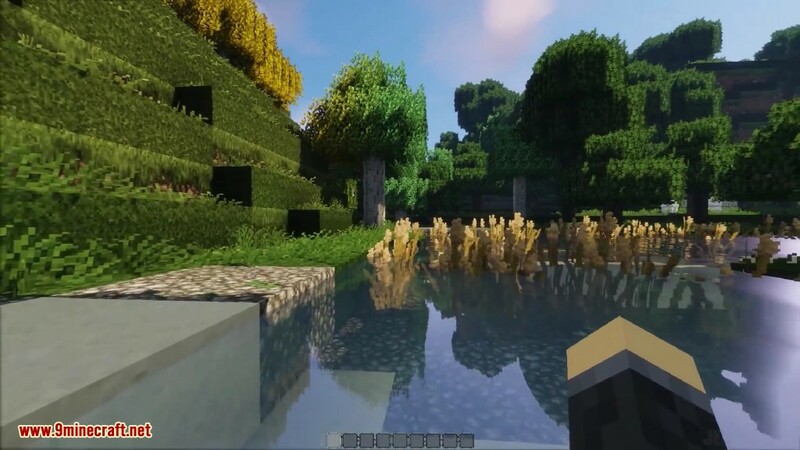 You may want to turn off the short grass though: because of the shadow map resolution the grass looks like it is floating slightly above the block (it doesn’t). The mod does not need textures supplied for the crossed leaf polygons for each and every leaf type, as it will generate them on the fly, making it very easy to use: it will (should) support every mod and texture pack automagically. 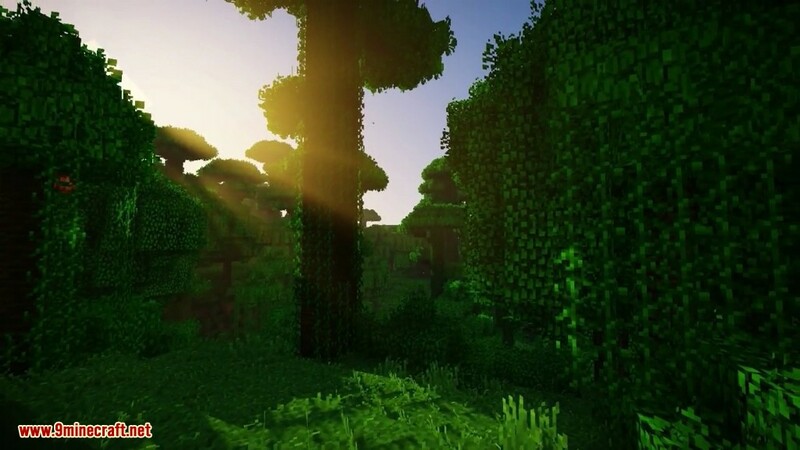 Confirmed to support leaves from: Vanilla, BOP, Natura, Forestry and Thaumcraft.